This dog may require additional training or modifications in order to be successful when left alone for extended periods. Puppies under 6 months have this as their default score unless further details are known. If Desmond had his way, he'd have a home where he could maximize his snuggle time during the day and then join in for an afternoon walk or jog. This sweet cuddlebug would make a great running or hiking companion for someone with an active lifestyle. Desmond has been doing really well in his foster home and gets along great with the little dogs he lives with. He's house-trained, isn't jumpy and doesn't counter-surf. Desmond prefers to spend as much time with his people as possible, and he also enjoys getting lots of mental stimulation. He does great with puzzle toys, Kongs and Kong wobblers - anything to keep that big brain occupied. This smart pup is also thriving in APA! 's Total Obedience Program, which is modeled after the AKC's Canine Good Citizen (CGC) test. As a TOP dog, Desmond has a personalized training plan and works with a volunteer trainer several times a week to help him learn the skills to become the best dog he can be! 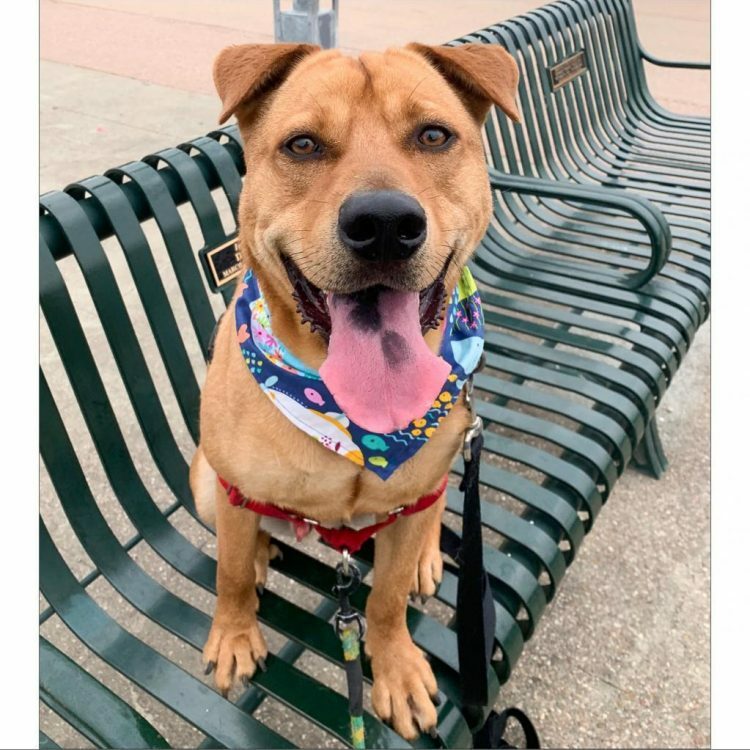 Desmond is learning skills like walking nicely on leash, sitting calmly when approached by strangers or other dogs, staying in a sit or down until told "free," coming when called and "place", which means Desmond will go to a special place in your home on command. 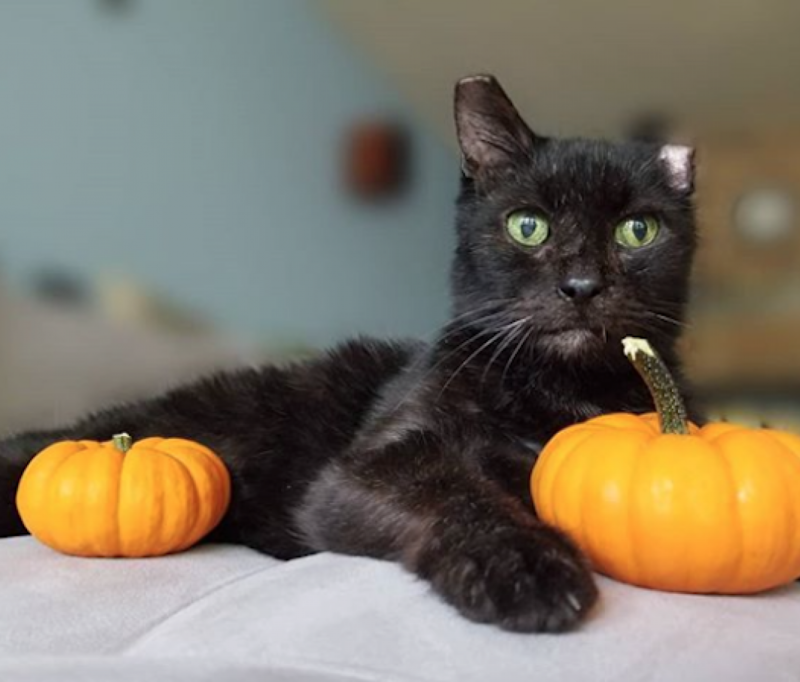 Desmond doesn't ask for much - just a family that will give him a lot of attention and possibly one with older teenagers and a well-matched doggie sibling. In return he will give you all his love and loyalty. Come meet this great pup! 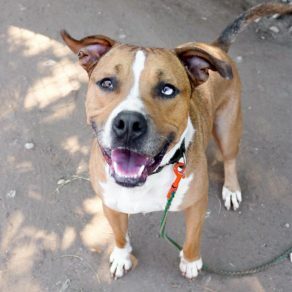 I saw Desmond (https://www.austinpetsalive.org/adopt/dogs/apa-a-52622) on the Austin Pets Alive! website and would like to request more information.